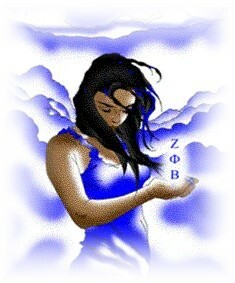 Theta Tau Chapter of Zeta Phi Beta Sorority, Inc.
Zeta Phi Beta Sorority, Inc. was founded on the campus of Howard University in Washington DC on January 16, 1920. Zeta has five founders, who are known as the Five Pearls; Arizona Cleaver Stemons, Pearl A. Neal, Fannie Pettie Watts, Myrtle Tyler Faithful and Viola Tyler Goings. The goal of the Five Pearls was to establish a new organization based on the principles of, SCHOLARSHIP, SERVICE, SISTERLY LOVE, and FINER WOMANHOOD. Since its inception, the Sorority has expanded to encompass more than 500 graduate and collegiate chapters. These chapters are located throughout the continental United States, Alaska, Hawaii, the Bahamas Islands, Eastern Caribbean Islands, West Africa, and Germany. The Sorority is the first organization to charter a chapter in Africa (1948). Zeta is, also, the only sorority in the NPHC or Divine Nine that is constitutionally bound to a brother organization, Phi Beta Sigma Fraternity, Inc.